Home Featured	What happened to curling at Concordia? A few years ago, watching a Stingers curling team was a possibility. For two straight years, Concordia fielded a women’s curling team that represented the school at the Canadian Interuniversity Sport Curling Championships. It all started in 2009 when four Concordia curlers got together and formed what would be the school’s curling team. Skip Kristen Richard, second Sasha Beauchamp, third Brittany O’Rourke and lead Erin Ryan made up the foursome that was sent to represent Concordia at the nationals for two years running. All four players had at least five years of experience when they formed the team back in 2009. Richard, Beauchamp and O’Rourke also each participated in the Canadian Junior Championships between 2007 and 2009. 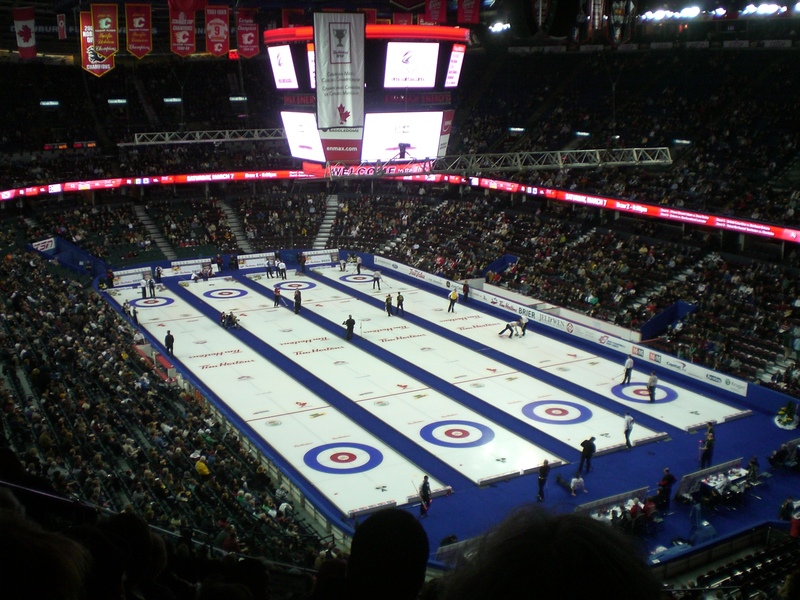 Curling made its introduction at the CIS level in 2008. Concordia’s first participation in the national championships was in 2009 when Montreal was the host city of the event. The Stingers finished with two wins and three losses. One year later, the same Concordia team went to Edmonton, Alberta for another shot at winning the tournament. The Stingers finished with the same 2-3 record. Concordia has not fielded a team since the 2010 nationals and the prospect of recreating one could be in the works. O’Rourke and Beauchamp are still avid curlers. Both players recently represented Team Quebec at last month’s Scotties Tournament of Hearts. Team Quebec finished in ninth place with three wins and eight losses. The sport itself seems a lot easier on television than it does in real life. Curling, like golf for example, is a sport that requires great mental ability. Once getting the technical skills in order, the rest comes down to strategies on where to place the rocks on the sheet. Whether or not Concordia will see another curling team depends on those interested in the sport. With a small team, minimum of four players, and a guaranteed spot in the nationals, this could be your way of finally becoming a Stingers athlete.